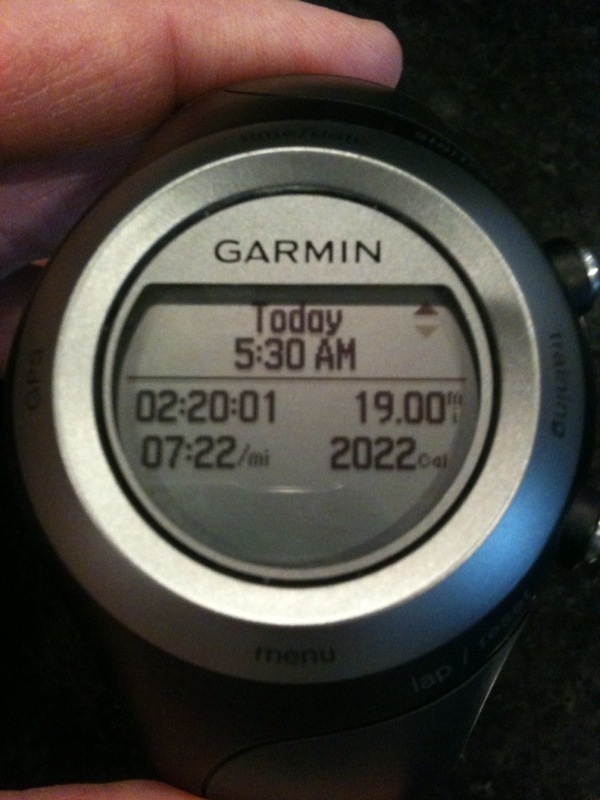 Sunday’s 19-mile long run wrapped up training week 10 leaving only 6 more weeks to Boston. I had this particular run circled on my calendar as the week where I would take stock of my training to date and set my goal time for Boston. Coming off of last Sunday’s “step-back” 12-miler I knew that my legs while somewhat tired from this week’s 40 cycling miles and 22 running miles would not be overly fatigued. Today’s workout was one where I could really try to simulate race conditions and determine what pace I feel is possible to sustain at Boston. Next Sunday will feature a 20-mile long run after two 10-mile runs during the week and a trip out to Los Angeles, San Francisco and back to Austin. There is a good chance I will be “dragging” just a bit next Sunday – so that workout will focus on building endurance and strength – both physical and mental. It will not be a workout to try to push pace. That is what yesterday’s run was for. I woke up to overcast skies, 53 degree temperatures and a 6 mph wind out of the SW. Not a perfect day for running – but pretty darn close. I geared up wearing the clothes I expect to race in (weather permitting) and simulated my hydration and nutrition plans throughout the run. For lack of a better term – Sunday’s run was a dress-rehersal for Boston. The early portions of a marathon for me are mentally taxing. I know that to be strong during the latter portions of the race I will have to conserve energy in the beginning. My rested legs want to go out fast and start gobbling up the miles. That strategy is pure folly and I know it. Instead, I spend the better part of the first 4 miles trying to hold myself back. Sunday’s workout was very similar – I did not let my body dictate pace until well after the half-way point of the run. The first 13 miles were run with my head – I would give the last 6 over to my heart. One year ago during this identical workout I posted a total time of 2:26:16 at 7:42 pace. I would go on to post a personal best 3:17:43 at the Pittsburgh Marathon at 7:31 pace – :06/mile faster than I needed to qualify for Boston. On Sunday I posted a 2:20:01 at 7:22 pace – finishing the run with identical 7:11 splits for miles 18 and 19. Frankly, I am a little bit surprised at how much my mile splits have improved over the past 12 months. 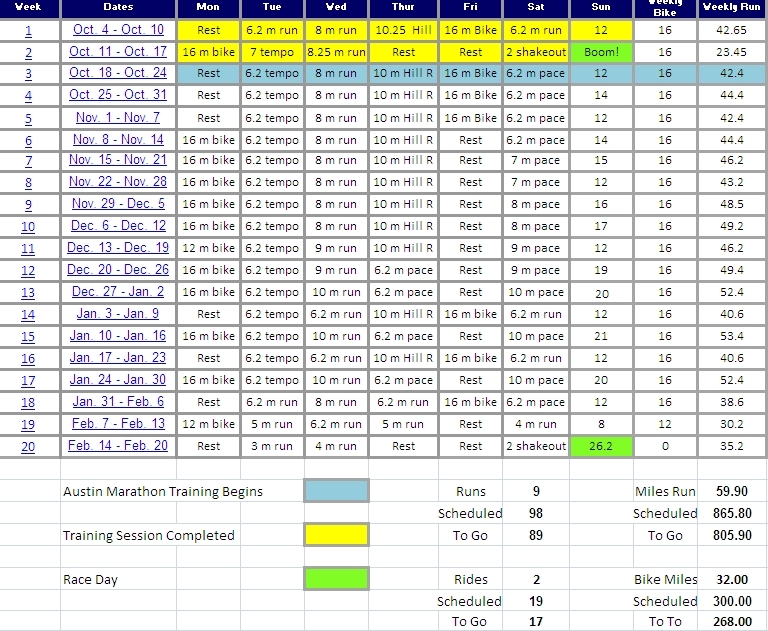 During this training cycle I made some changes that I had hoped would improve my strength and running economy. I dropped one run per week off of my previous schedule while adding three cycling workouts per week to my training regimen. I continue to workout with my personal trainer three times per week in addition to my four run days. I feel stronger than I did one year ago, but am I really looking at a sub 3:15:00 Marathon time at 42 years old? A lot of factors need to go into arriving at your goal pace for a race, some of which are very much outside of your control. 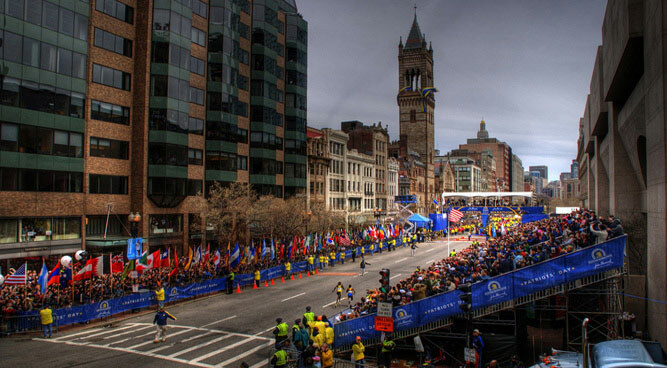 Weather, health, the race course, crowds, changing course conditions all pay a major factor when just a few seconds per mile turn Boston Qualifiers into also-rans. That said, based on everything I am seeing from my training to this point and especially how I am feeling since recovering from my shin splint issues in December – I think a PR at Boston is very much within reach. When it comes to setting race goals I have always erred on the side of caution a bit. I think that there is something to be said about making sure that you feel that you have accomplished something truly remarkable by completing a 26.2 mile course. Not forgetting that in addition to race day, you have also covered hundreds and hundreds of training miles just to get to the starting line. By the time I toe the line in Hopkinton with a number pinned to my chest I will have run 474 miles, cycled 600 miles and spent 48 hours strength training in just 16 weeks. To set a goal for a race and fall short leaves many runners feeling down about their performance – that somehow they had failed. The fact remains that less than 1% of the population will ever attempt to run a marathon. 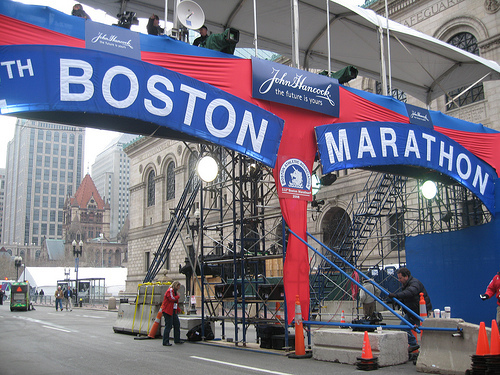 Out of those marathoners less than 10% will ever achieve a Boston Qualifying time. That is pretty elite company that I will find myself in the thick of at Boston. Which brings us to the real reason that we are taking on this challenge of two marathons in 13 days which is our hero Dom. Run for Dom is not about PR’s or mile splits or re-qualifying for Boston. It is about appropriately honoring a close friend who is battling enormous odds of his own to defeat a terrible, terrible disease. Over the next two weeks Dom will go in for his final round of Chemotherapy and be firmly moving forward to the recovery stage of his battle. 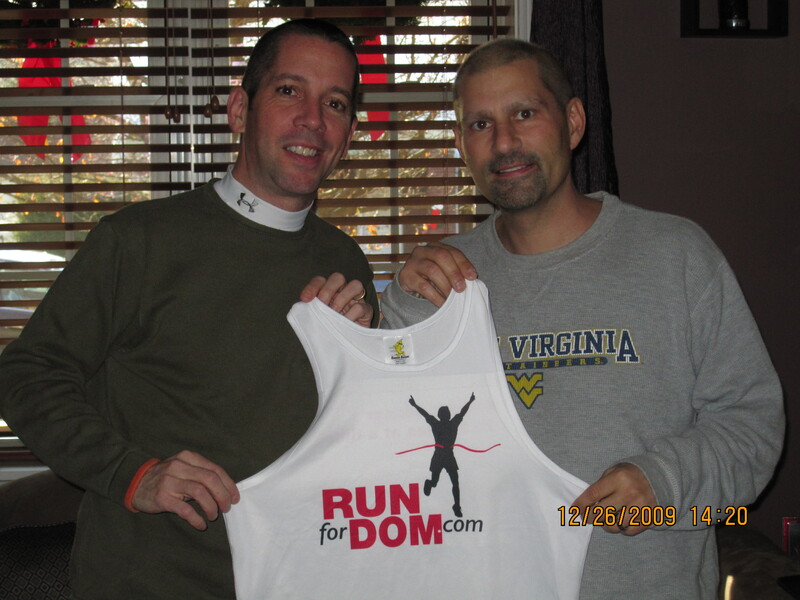 Dom has spent the last 7 months battling cancer on a daily basis. There are no rest days for Dom. No recovery runs. No easy days or days off. So setting a goal for Boston with so many things to consider is difficult for sure. When I spent time today really reflecting on it I came up with the only real answer. I am going to race at Boston the only way I know how. I’m not going to hold back and “save something” for Pittsburgh. That race will be about something very different on May 2nd – full of its own challenges and hopefully victories. For Boston I am simply going to run my best marathon. The best race I am capable of running that day. Weather and health permitting that means bettering our PR at Pittsburgh a year ago. Coming through the chute at the most revered marathon in the world faster than I ever have before. If that means only shaving a second off of my PR of 3:17:43 then that is just fine with me. So for Boston – 3:17:42 is the goal. Just 6 weeks to go.